On his Facebook page last week Richard Heeks, from the Centre for Development Informatics at Manchester University, was lamenting the fact that many ICT4D blogs have become inactive. It's certainly true that some well known ICT4D blogs have been fallow for some time now. Steve Song's excellent blog Many Possibilities comes to mind, as do the blogs of Ronda Zelezny-Green and Sammia Poveda. Hopefully there is more to come from these three in the future but Richard's definition of an 'active' blog (updated in the last three months) seems a reasonable one. And true enough when I clicked through the ICT4D blogroll on my own website many were either no longer predominantly about ICT4D or had not been updated for many months. So is Richard right that there are only four active ICT4D blogs left running - surely not? The four blogs on his shortlist are excellent and of quite different types. His own blog comes from the perspective of academic ICT4D research and of Development Informatics in particular. ICTWorks is a blog established by Wayan Vota and often features guest posts showcasing specific ICT4D products and services. Russell Southwood is a consultant on African telecoms whose Balancing Act blog provides a great overview of connectivity issues in Africa and Linda Raftree's excellent practitioner oriented blog is a personal favourite of mine and has been perhaps the most influential ICT4D blog of all. This Gang of Four certainly all deserve a place in the canon of ICT4D blogs but surely there are many more than four active ICT4D blogs? And sure enough, as I continued clicking through the blogroll on my own website, it became clear that there were still plenty of very well established ICT4D blogs which inexplicably didn't make it into Richard's list. Those not among the Gang of Four include the blog ICTology penned by Ismael Pena-Lopez from the Universitat Oberta de Catalunya. Ismael blogs frequently on his website which is a veritable treasure trove of ICT4D resources and links. Another personal favourite of mine is Mike Gurstein's Community Informatics blog, which takes a more bottom-up and radical approach than some of the more mainstream ICT4D commentators, and iRevolutions by Patrick Meier always makes for essential ICT4D reading. Tim Unwin's blog admittedly includes an eclectic mix of restaurant reviews and fragments of his old photo collection, but it is unquestionably still an ICT4D blog of note. Mark Graham's blog about his work at the Oxford Internet Institute, Christian Kreutz's Crisscrossed and Ken Banks' Kiwanja blog must also surely make the cut as well as David Girling's excellent blog, which is the go-to place for Social Media for Development. What qualifies as ICT4D is of course a subjective matter but most people interested in ICT4D would want to have all of these bloggers in their RSS feed. Worryingly, this list suggests that the ICT4D niche in the blogosphere is dominated by privileged white men, like myself, from the global north. Notably absent from Richard's Gang of Four are any of the increasing number of ICT4D bloggers from the global south. In this space I most enjoy reading the beautifully curated Timbuktu Chronicles by Emeka Okafor and the wide ranging Ushahidi blog. The ICT4Peace blog is always full of insight and practical wisdom about digital deployments in Sri Lanka, and the ICT4D Centre blog from the University of Cape Town is regularly updated with reports on their digital development projects and research. Elsewhere the comprehensive ICT Post focuses on ICT4D in India, whilst the LIRNEAsia blog has a more regional remit. The Association of Progressive Communications is perhaps the original ICT4D organisation - based in Jo'burg and drawing on a team from across the global south, APC produces a range of blogs on ICT4D that come from a rights-based approach and gender perspective. Whilst Linda Raftree's excellent ICT4D blog did make it into the Gang of Four, women seem under-represented as authors of active ICT4D blogs. That having been said Oxfam's ICT4D blog curated by Amy O'Donnell and Emily Tomkys is one of the more active INGO blogs in this area and the Gender & ICT blog from the APC is outstanding. But to my knowledge none of the most senior ICT4D academics have a regular blog outlet; I am thinking of the likes of Anita Gurumurthy, Gloria Bonder, Ineke Buskens, Dorothea Kleine, Yingqin Zheng and Revi Sterling for example. Heather Leson's blog Text on Techs is great on humanitarian tech, Linnet Taylor's blog focuses on Big Data in Development and Helena Puig Larrauri blogs on peace tech, whilst Savita Bailur from Caribou Digital occasionally blogs here. If we were to go further down the road of sector specific ICT4D blogs then those that deserve a special mention include Tim Davies' blog on Open Data and Giacomo Rambladi's outstanding blog on participatory digital mapping for development. So it seems that - unless you have a restrictively narrow definition of ICT4D - there is really no shortage of active ICT4D bloggers. Although many of the first generation of ICT4D blogs now lie dormant, there is a new generation sprouting up. After a few days weeding my personal curation of active ICT4D blogs I have listed well over 30 very active blogs here on this website under the ICT4D blogs tab. With the continued growth of the field of ICT4D and the current groundswell of interest in applying ICT for Development we can expect many more ICT4D blogs to be launched or relaunched in 2017. 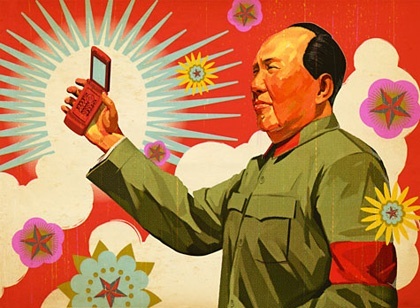 As Chairmen Mao might have said "let a thousand blogs bloom". P.S. I recognise that my knowledge of ICT4D blogs is limited and blinkered by my language and positionality - so please do let me know about other ICT4D blogs that I should be aware of. Permalink Submitted by Kristen (not verified) on 6 November, 2016 - 21:01. Digital@DAI - https://dai-global-digital.com We post at least once a week if not more! Permalink Submitted by Tony on 6 November, 2016 - 22:49. Thanks for the heads up Kristen. 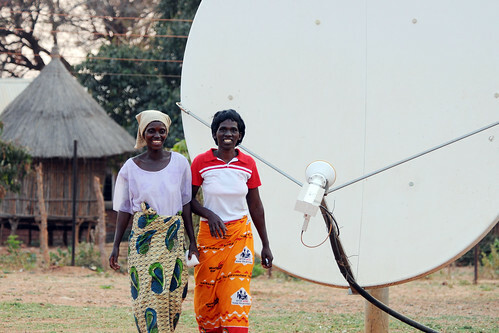 I was hoping this post might educate me about more ICT4D blogs not on my radar. This one definitely needs adding to the RSS feed. Permalink Submitted by Grace (not verified) on 7 November, 2016 - 12:59. Permalink Submitted by Tony on 14 November, 2016 - 14:58. Thanks Grace. This is great. I have added you to my list. Are you on twitter? Permalink Submitted by Timo Luege (not verified) on 8 November, 2016 - 11:13. Permalink Submitted by Tony on 14 November, 2016 - 14:51. That definitely counts Timo. I have added you to my updated blogroll. Permalink Submitted by Eric (not verified) on 8 November, 2016 - 12:23. Permalink Submitted by Tony on 14 November, 2016 - 14:46. Thanks Eric. That long like looks like mine before this update! I have copied a couple new to me that still look active. Good luck with getting the crowd to edit your long list. Permalink Submitted by Ronda Zelezny-Green (not verified) on 8 November, 2016 - 12:44. Our blog at www.panoplydigital.com/blog is about about all sorts of digi dev and I write there once a month. I will return to my blog after the PhD. But I appreciate the name check and great post Tony! Permalink Submitted by Michael Gallagher (not verified) on 8 November, 2016 - 13:54. We have an active ICT4D blog as well and this is where most of Ronda's blog posts are directed towards now: http://www.panoplydigital.com/blog/. Either way, the seeming slowdown of development blogs is something we noticed as well but we weren't sure if it was us just not being able to fully identify the next generation of development individuals coming through yet, or something else. Thanks! Permalink Submitted by Tony on 14 November, 2016 - 14:38. Permalink Submitted by Tony on 14 November, 2016 - 14:48.